$10.00 for $25.00 - FIVE Indoor Playground or Open Gym Passes at Mid-Columbia Gymnastics for Only $10! Indoor playground has push & pull toys, mats, hula hoops, balls, imagination toys, trampoline for the little ones, princess castle, doll houses, kitchens, dress up for boys and girls, castle bounce house, huge pirate ship. Upper deck features foam pit, gymnastics bars, and trampoline! If kids don’t burn off their excess energy, bedtime becomes a battle and your walls are subject to murals made with crayons. Let the kids go crazy with today’s fun deal from Mid-Columbia Gymnastics! Get 5 Indoor Playground/Open Gym Passes, regularly $25 for just $10, and set the kids free in this fun land designed just for them! 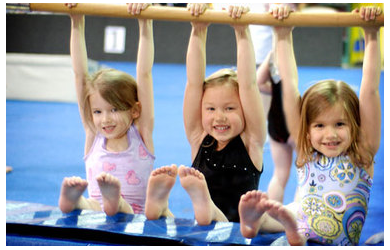 Mid-Columbia Gymnastics is the area’s premier activity arena for kids of all ages! The safe Indoor Playground is geared for babies to 6 years old and is the perfect place for little ones and their parents to have tons of fun! Children can run, jump, bounce, and play with all the toys on hand in this fun, active environment. Kids will love Open Gym featuring 18,000+sq ft. of gymnastics equipment, bounce house, foam pit, balls, hula-hoops, 30-ft. long tumble track, and much more kids will burn off all their excess energy while loving every minute of it! There’s something for all kids and levels! Mid-Columbia offers great additional activities including year round classes for boys and girls! Treat the family to some major fun with today’s deal from Mid-Columbia Gymnastics! Middle School/High School Open Gym (12-18 yrs) Saturday 8:30-10pm. Schedule is subject to change. See website for most current schedule. Limit TWO PER PERSON - one per child. Schedule subject to change, see website for up to date schedule. Limit TWO PER PERSON - one per child. Promotional amount good for 90 days. Schedule subject to change, see website for up to date schedule. Cannot be used with other promotions or offers. No cash value, full amount of voucher must be used.